This project involved the planning and design of a 441,000 square foot multi-use resort building that included approximately 137 condominiums – one, two, three and four bedroom units. Approximately 26,000 square feet of this was conference center/meeting and restaurant space and an 18,000 square foot spa. The building design also included a three-level parking garage allowing for parking at grade and two levels below. 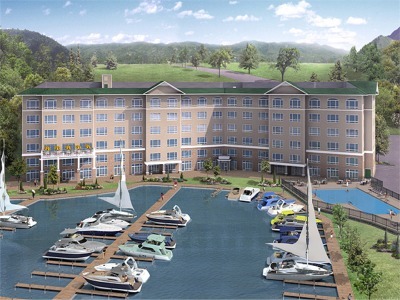 Our work included managing engineering and architectural services as well as assisting the Owner with plan review and considerations for phasing construction on a limited site along the shoreline at Smith Mountain Lake.